With a pre workout meal, your workouts are more 'on.' Exercise doesn't seem to take as much effort, and you perform better. A pre workout meal's goal is to give you fuel. With adequate fuel you'll do better working out (or in athletics) than if your stomach is rumbling. 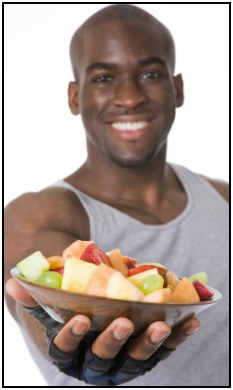 The best macronutrient for fuel is carbohydrates - like fruits, bread, or vegetables. They are broken down into sugar (glycogen) and stored in your muscles. Sometimes athletes do this over a period of days leading up to an event, or bulk up on carbs right before it. This is called carb loading, and can be done to enhance performance. This gives you enough time to fully digest whatever you eat, and get its energy into your muscles. But, not so long that you get hungry again. If you eat and then immediately workout, all your blood will be in your intestines for digesting and you won't function as well. It can even cause you pain, as you know if you've ever had a 'stitch' in your side. If you don't have good pre workout nutrition, then you will be running off of previously stored sugar in your muscles and your fat reserves. And while you certainly can use those as fuel sources, to do best during your workout you should be fully fueled with carbs. However, dropping the pre workout meal is a great idea if you want to lose fat. You'll metabolize more fat for fuel if you aren't using carbs you just ate as fuel. Of course, you have to eat less than your base metabolic rate to lose weight. If you exercise without a meal and then eat a ton, you won't lose weight. You might even add some pudge. 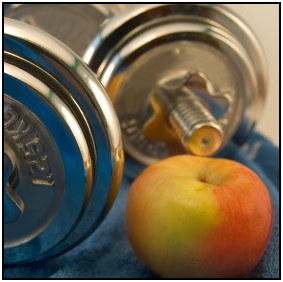 How Important is it to Eat Before Exercise? Eating before exercising is important to give yourself enough energy to workout. But, it's not vitally important. Of course, if I have an important event coming up, I'll make sure to get something to eat. But a perfect meal before your workout is not vital, even if you're focused on trying to put on muscle. Very helpful, but not vital. I usually have some carbohydrates with breakfast, before I go workout. Apples, bananas, and oranges are damn healthy and tasty. So I eat them. After your workout, you need good nutrition if you're looking to put on muscle. Try a healthypost workout drink or meal if you're serious about putting on muscle. If you're looking to lose weight then, of course, eat within reason after your workout. Don't cancel out your workout by eating a ton. And even if it's 'healthy' food, you want to avoid eating too much and putting on more fat. • Click here to leave 'An Awesome Pre Workout Meal Is…' & go back to the Home-page!